In a hurry? 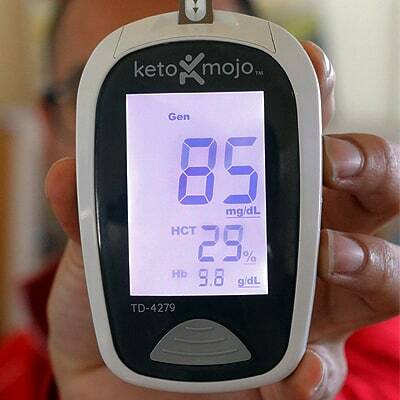 The best blood ketone meter is Keto Mojo. 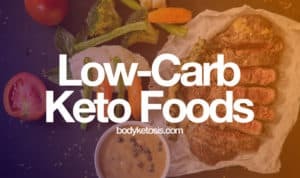 Staying in ketosis will make or break your keto journey - you either burn fat or not. You cannot go “half ketosis” and still lose weight. It doesn’t work like that. But how do you know that you truly are in ketosis? Keto shouldn’t be a guessing game. Blood ketone meter is the most precise way to measure your ketone levels, period. But not all meters are created equal - not in functionality nor price wise. and some extra tips for measuring ketone levels. 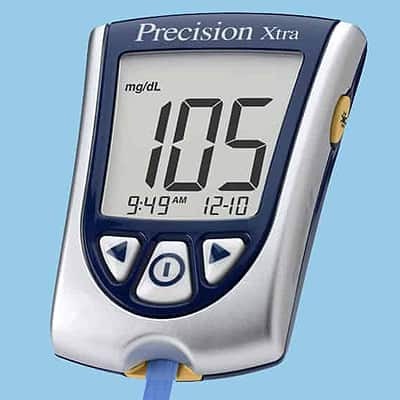 A blood ketone meter is a small electric device that is used to measure the amount of ketones in your blood, and it works the same way as a glucose meter. All blood monitors have a digital display showing accurate readings described in mmol/L. People with diabetes make sure their ketone levels are not at dangerously high which leads to a condition called ketoacidosis. 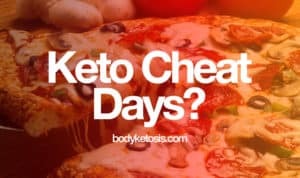 Healthy people on a keto diet, however, use it to see if their body is producing ketone bodies, and how deep in ketosis they are. The testing process is similar to how people with diabetes test their blood glucose levels for high blood sugar. Prick your finger, squeeze a drop of blood out, tap it on a testing strip and the blood meter detects your blood ketone levels. Measuring ketone levels in your bloodstream provides the most reliable test results because it removes factors that can distort the results, such as how drinking water can dilute urine results. Blood Ketone meter measures the amount of BHB (beta-Hydroxybutyrate) in your blood. It shows how many ketone bodies are circulating your bloodstream at a particular moment in time. Ketone breath meter indicates the amount of acetone in your breath. Acetone gets produced by the breakdown of acetoacetate in the blood. This shows that your body uses the initial ketone body and then converts it further into an additional source of energy. When it comes to choosing which ones are the best, then for the best results you’ would want to know both: your blood ketones as well as the amount of acetone in your breath. But if you need to choose one, then I suggest going with a blood ketone meter. It is considered as a gold standard and provides the most accurate results. 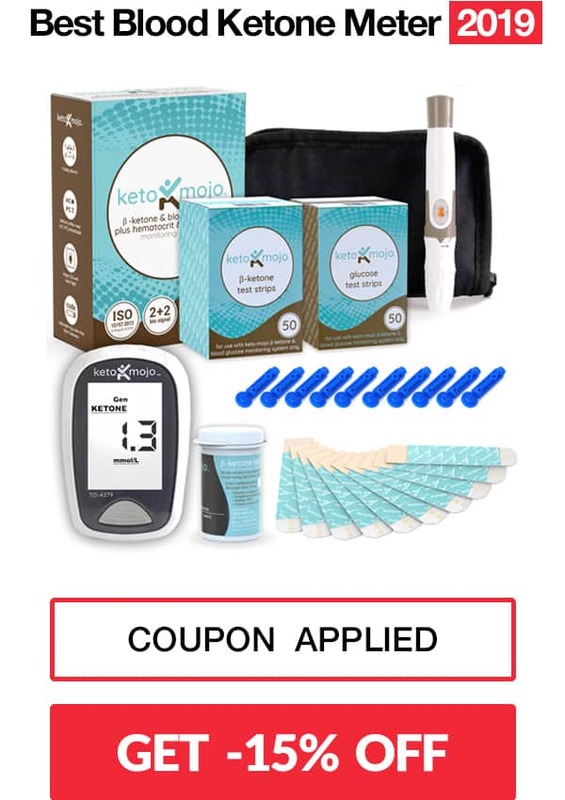 Ketone breathalyzers are very convenient way to measure ketosis, but the initial investment is more expensive ​and there aren't lot of products to choose from. Another reason to choose blood ketones over breathalyzers is that you can also measure your blood sugar levels (in addition to ketones). This is essential when you are starting out, as you need to have lower blood sugar levels for ketosis. Understanding how to read your blood ketone results is essential. Keep in mind that everyone have different pace when producing ketones and entering ketosis. *The ketone levels chart below describes the ketone levels of healthy individuals. People with diabetes or other medical conditions will have different readings and should consult with the doctor. When you use a blood ketone meter, you will find that you have a readout that’s generally anywhere between 0 and 3. 0.1 - 0.5 mmol/L - If your readings are between this range constantly, you are just barely in ketosis, and you are not producing enough ketones to be in the optimal, desired ketone range. 0.5 - 1.5 mmol/L - You are in light nutritional ketosis. You are getting some cognitive and weight loss benefits but it is still not ideal. 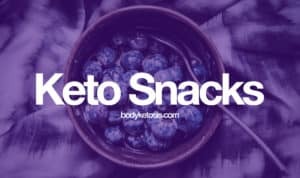 If you're not on a keto diet but are diabetic, this reading means you need to call your doctor. 1.5 - 3.0 mmol/L : This range is what’s considered optimal or ideal nutritional ketosis. Within this range, you are getting maximal benefits in terms of energy, mental clarity, appetite control, and especially weight loss. 3.0+ mmol/L - Numbers over 3 mmol/L are not really necessary. It's mostly caused if you aren't physically active enough throughout the day. Your body isn’t utilizing the ketones properly, so you are creating a lot of them. Dangerous for diabetics. Best time to measure ketones in the blood? Ketone levels do not remain stable throughout the day. Alcohol, exercise, food, and other factors can and will all affect your readings. Whatever time you choose, stick with a specific time. Like in the morning or several hours after your last meal of the day, for best comparison. Load a needle into the lancet pen according to package directions. Wash your hands with soap and dry them well. Remove a test strip from the packaging and insert it into the meter. Place the lancet pen on the side of your fingertip and push the button. Squeeze (gently) your finger to get a drop of blood. You will need a large drop to load the strip properly. Touch the end of the test strip to the drop of blood until it fills the little opening and the meter registers. Wait for the meter to give you a reading (just a few seconds). Since consistency is very important for testing ketones and glucose, the best time to test yourself is when it’s convenient for you. Make a routine to test daily, you will be able to compare your results to prior days at the same time and get some good data out of it. If you decide to test in the morning, note that due to the “dawn effect”, ketone levels are lower and blood glucose levels are higher as compared to later in the day. (2) If you, however, choose to test later in the day, the best time would be before you have a meal. If you prick your finger, then prefer the "side of the finger". Because that part has less nerve endings and will be more enjoyable process. Another trick is to see how you are reacting to the foods you are eating. Test once before you have the meal, and then 60, and 120 minutes after eating. This shows what effect the food you eat has on your ketone levels. Also, you can do this same test for your blood glucose levels as well. Don’t reuse test strips. You might have seen some posts suggesting to re-use your test strips or even cut them in half, but we strongly suggest against it. What usually happens is you get an error message, but even if you manage to trick the device into “thinking” it’s a new valid test strip, doing so can very likely alter the reading you get. There are multiple factors to consider when it comes to making a decision on which ketone monitor to pick. Warranty - If a product has a long-lasting warranty, it is usually an indicator that the company strongly believes their product is of great quality and that most customers will be happy with it. Blood glucose - Look out for ketone meters which have the ability to measure blood glucose as well - since blood glucose plays such a vital role in the ability to get into and stay in ketosis. Bluetooth - This is not a mandatory functionality but it's very useful for day-to-day users. It allows you to sync your data with a mobile app, adding notes to your readings, set up alarms, and even compile averages and trends based on readings. Accuracy - Always verify that the ketone meter is FDA (Food and Drug Administration) approved, so you can be sure that you have a quality product and your readings are as accurate as they can get. Support - You will understand the importance of this once you have an issue with the product. Luckily many manufacturers have a toll-free number that you can call if you need help. Price - While a lot of people focus on the price of the meter itself, what’s more important is actually the price of the ketone test strips. So in addition to meter price, always calculate your ongoing costs for test strips as well. Meter kit - If it's your first ketone meter, then consider buying a "kit". Usually you will get the most value for your money, and other useful goodies which you cannot buy separately. For example protective cases, log books, and much more. 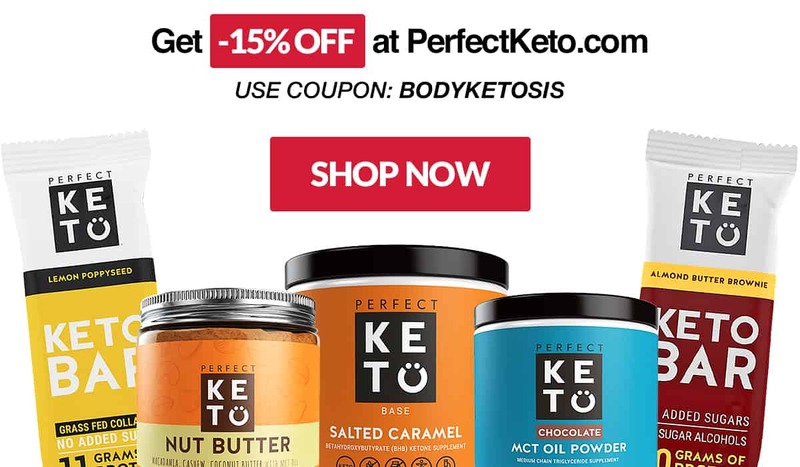 The Keto Mojo is probably the most popular and least expensive ketone testing kit on the market at the moment. Keto Mojo has a large, modern, and easy to read display screen. It’s also simple to navigate through the options. The device is FDA approved, uses newer technology and is more accurate than most competitors on the market. Keto Mojo strips are quite affordable - 0.99$ per strip. They have also released a Bluetooth connector that allows you to connect to an App where you can instantly download and keep track of all of your readings. Precision Xtra, Abbot, was founded in 1888 and producing broad range of pharmaceuticals, medical devices, and nutrition products. It could be said Precision Xtra is the dinosaur of ketone meters - in a good way. It has a much smaller monitor as compared to the Keto Mojo (almost twice as small), and it has 3 buttons for navigation. The device is relatively cheap and provides very accurate readings. The main downside is that additional testing strips are quite pricey compared to competitors. 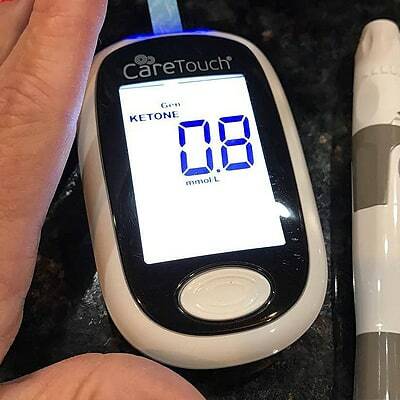 Care Touch Ketone Meter is another popular option among people following low-carb diets. It has a quite handy automatic strip ejection button which makes the testing process a bit more hygienic. It has an average-sized monitor with big, easy to read numbers, operates with 1 button, and it has pretty straightforward to use options. 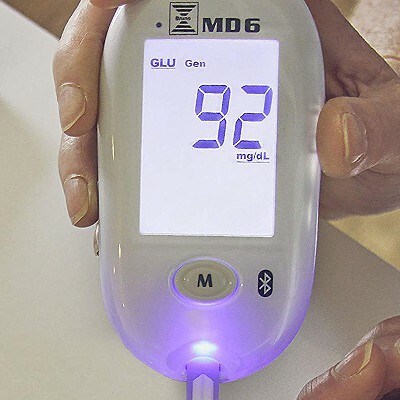 The main downside is that it can only measure blood ketones, so if you want to test blood glucose as well you would have to buy a separate device. 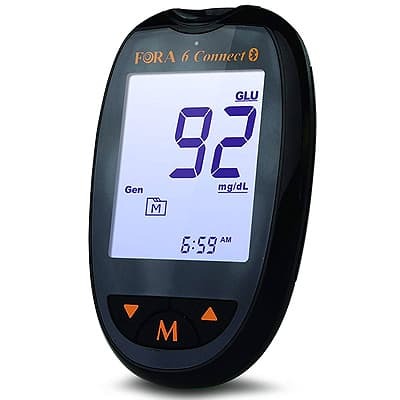 The Fora 6 Connect is the newest ketone and blood glucose testing device manufactured by ForaCare. The latest Fora 6 Connect has 3 buttons, which make it way easier to use and navigate through the functions. Meter also comes with Bluetooth which syncs with Fora 6 App, allowing you to track readings, spot averages and trends, add notes to your readings and more. It features new, “gold” technology strips, which ForaCare claims are as accurate as the other top quality ketone and glucose meters available. But, quality aside, the strips themselves are quite pricey to buy compared to the other brands. The Bruno MD6 blood ketone and glucose monitor is the only product that the company Bruno Pharma sells. The device is FDA approved, and Bruno Pharma promise that it provides “lab-like” readings from home. The meter has an average-sized, well-rounded, clean looking monitor, it operates with one button, and it has a simple, easy to read interface. It comes with integrated Bluetooth so you can log and monitor your test readings. On the other hand, a big downside of the product is that additional test strips are hard to find and are quite pricey.